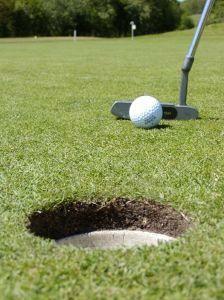 Definition: The "green fee" is what a golf course charges golfers to play. How much do you have to pay to get on the course? That's the green fee. There's nothing better than playing golf at a different course, making up a four ball and meeting fellow golfers, there's always a few members playing a round and most are willing to share the wonderful experience of playing the Tubbercurry course.